Prototype: Privately owned type Leig Unit / Less-than-Carload-Lot Unit Gllmhs 37 painted and lettered for the firm Ernst Paul Lehmann Patentwerk in Nurnberg, used on the German Federal Railroad (DB), built starting in 1949. 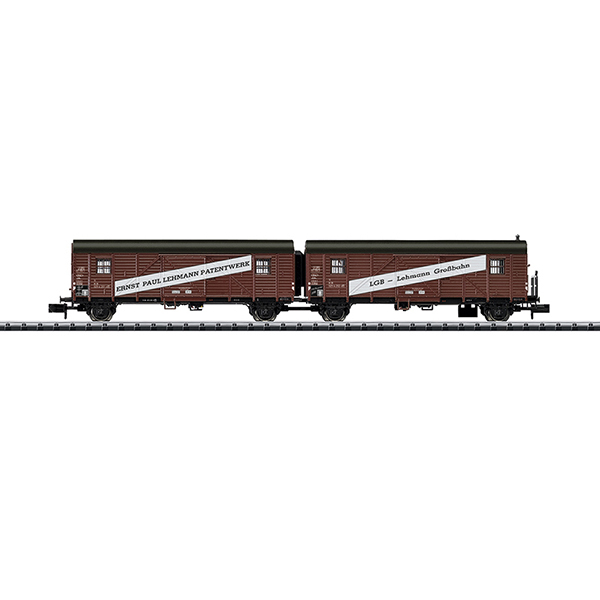 Lightweight freight train unit for Less-than-Carload-Lot service. Model: The cars have sliding doors that can be opened. They also have a close coupler mechanism. Length over the buffers 146 mm / 5-3/4". For the anniversary "50 Years of LGB"
One-time series. Available only in the Marklin Museum in Goppingen.